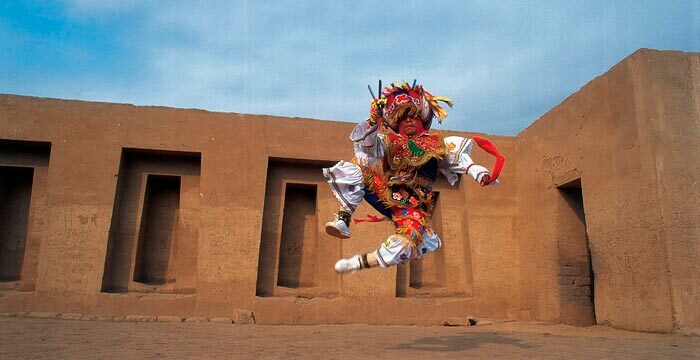 Music and dance traditions run deep in traditional Peruvian and indigenous culture. If there’s one way to get to the heart of authentic Peru it’s through the music. 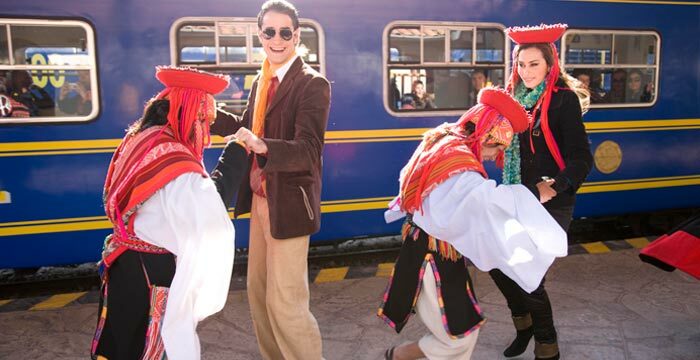 On your private tour of Peru, attend a festival, watch a show, or hit the dance floor to fully experience Peru’s music and dance. Here are a few ideas for how to do that on your custom Peru vacation. The Danza de Tijeras, or scissors dance, is one of the more unusual folkloric traditions of Peru. A competitive dance from the Quechua villages of Peru’s south-central Andean highlands, it involves at least two dancers who join forces with a team of musicians from their community ro perform a series of skilled, acrobatic movements while holding a scissors-like blade in their right hand. As the teams fight it out for victory on the floor, the dancers attempt to outdo one another and the movements become more and more frenetic – daring dancers rapidly spin, pivot, leap, jump, roll and flip, all the while still brandishing those blades. A timeless Andean ritual, the ominously named Diablada, or devil dance, is performed on the high plains of Peru and Bolivia. Merging elements of Andean spirituality and Catholic beliefs, the dance reenacts the tussle between good and evil. When performed during Puno’s Virgen de la Candelaria festival, the devil dance is given a regional twist, incorporating aspects of a local legend about a group of trapped miners who were saved from impending death after the Virgin Mary appeared to them. The dancers wear masks caricaturing mythical figures and embellished costumes, some of which can weigh up to 60 pounds – being able to move gracefully while being burdened down with this heavy attire is no mean feat. Want to join the crowd of thrilled spectators watching the dance? 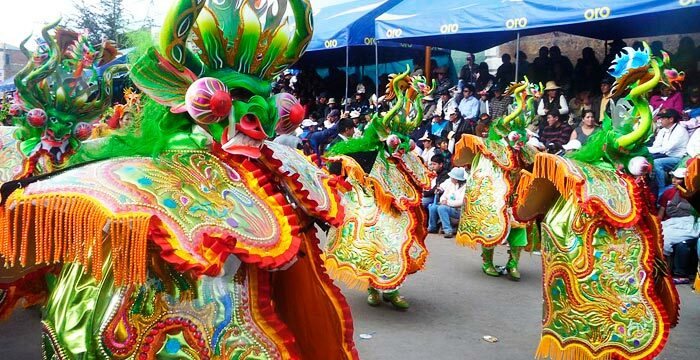 Kuoda can help get you to the Virgen de la Candelaria festival, which takes place in Puno every February. Despite the efforts of the Spanish conquistadors to eradicate indigenous culture, huayno music has managed to survive and remains extremely popular. Having originated in the high mountains of Peru, the music – typically performed by Quechua and Aymara people – is characterized by high-pitched vocals. Traditional instruments, such as panpipes, flute, harp, accordion, violin and charango (a small lute) feature prominently too, while love and romance are the most common lyrical subject matter. When dancing to huayno, people typically pair up into male and female couples – the women sporting brightly colored woven shawls, short black skirts and round-brim hats, while the men don black hats and pants, often brightening up their outfits with a colorful vest. There’s a good chance you’ll hear some huayno while you’re on vacation in Peru; it is still regularly performed during community festivals and events. Kuoda can ensure you get to hear a huayno music and observe huayno dancing with a live dinner show during your private tour of Peru. Peruvian criolla music is a broad genre heavily influenced by the African slaves who were brought to Peru during the colonial era. The result is a hybrid musical style, blending Andean, European and African elements to produce a highly percussive sound. 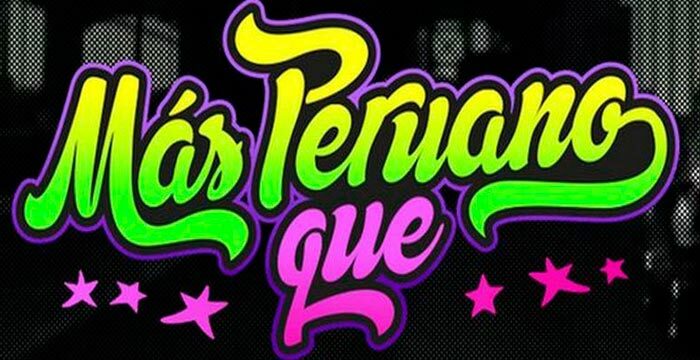 Criolla music encompasses many subgenres, among them festejo, landó (Afro-Peruvian), zamacueca and vals Peruana (Peruvian waltz), though its most famous offspring is probably the Marinera. This well-known couples’ dance portrays the courtship between a man and woman, and there are several regional styles. You can witness the Marinera first-hand during your customized tour of Peru at Trujillo’s annual Marinera Dance Festival, which takes place every January. Other types of criolla music and dance can be experienced at several clubs in and around Lima. 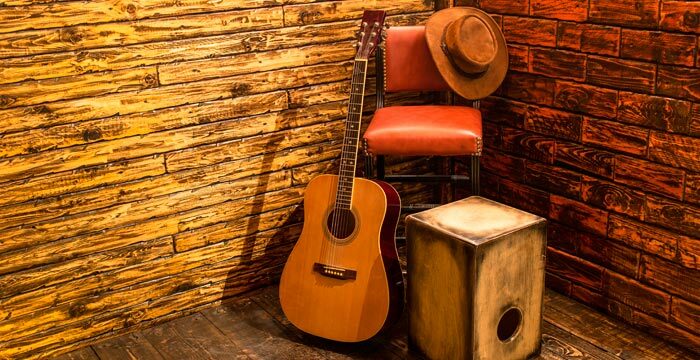 Kuoda will be happy to arrange for you to attend a nightclub performance where you will be able to hear live Peruvian criolla music.